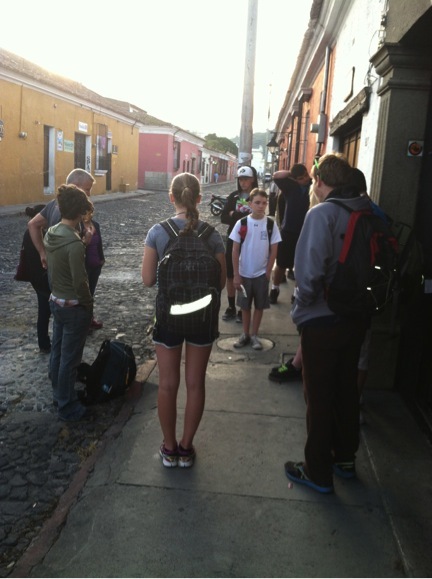 The group packed an overnight bag and headed out at 6:00am to the town of Santiago, located on Lake Atitlan about a 3 hour drive from Antigua. 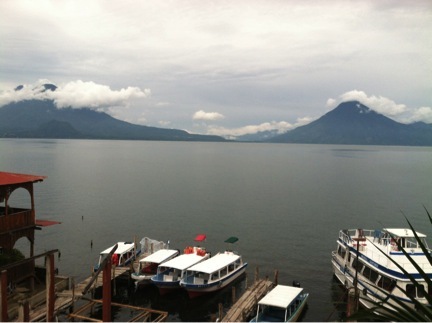 Lake Atitlan is as beautiful a setting as one can imagine – a deep lake surrounded by mountains and volcanoes. 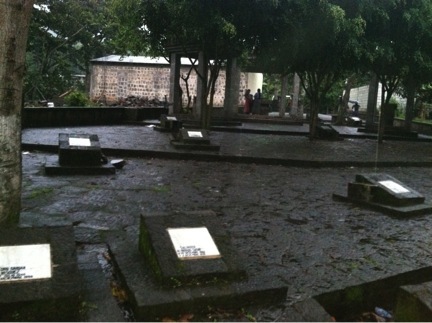 During the Guatemalan civil war in the 1980s, it was also the site of extreme violence against the indigenous population that occupies the villages that line the lake. Our guide on this excursion was Jennifer Crist, an American Co-Founder of the non-profit Tree 4 Hope that supports an elder center in Santiago and an orphanage near Antigua. In partnering with Jennifer, our students were given access to homes and neighborhoods that would have been closed away to us, and through her direct instruction, we were also able to learn a great deal about the history and culture of the people of Santiago. 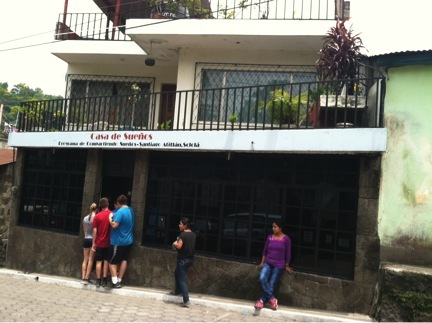 Our group stayed at the modest Hostel, Casa de Ancianos, located just around the corner from the Centro de Ancianos (Elder Center). 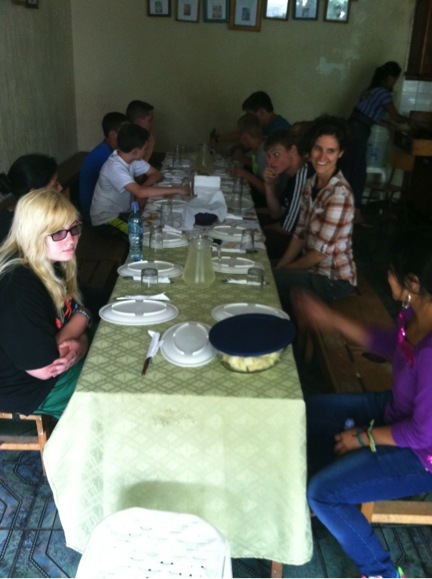 All proceeds from this hostel are used to support the work of the Centro. Our work for the day was to help the staff provide lunch to the 67 elders the center serves. These are mostly women as so many of the men of this generation were killed in the civil war. 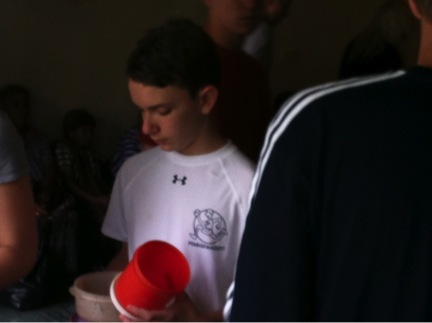 This was a humbling and touching experience for all. 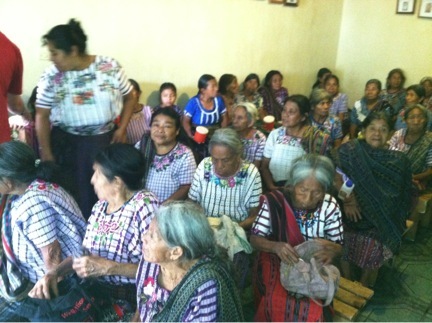 We were greeted warmly and overwhelmed to see the gratitude these women had for the 7 tortillas, bowl of soup and cup of coffee they receive from the center three times each week. For many, this is the only food they will get for the week. 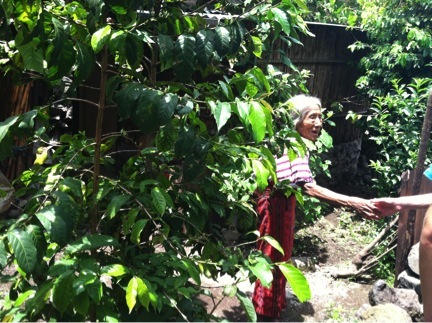 When all had been served in the center, we travelled to make home visits to those elders who were too sick or weak to travel to the center to receive their food. This is the kitchen of one woman we visited, and the following picture is her house which is attached. 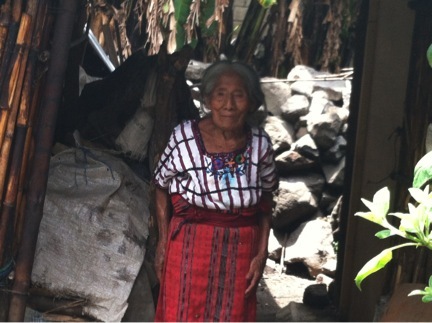 One cannot help but be moved by the beauty, dignity, and strength of these women. After we served lunch, we were treated to a lovely lunch made for us by the women who run the Elder Center. Then we shopped in the bead store that also supports the work of the center. This was followed by some quiet, independent time, and then we regrouped to learn more about Guatemalan political economic history, the genocide of over 200,000 indigenous people in the 1980s, and more specifically about how the war affected the population in Santiago. 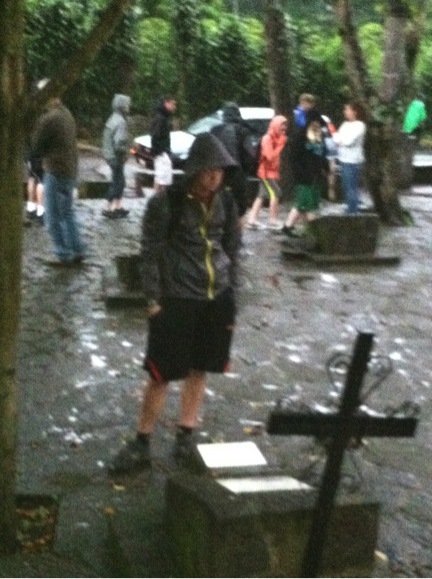 During the rainy afternoon, Jennifer guided us through the local Catholic Church where an American priest had been martyred in the early 1980s, and then to the Peace Park, which became a monument in the mid 1990s to memorialize the killings of 13 peaceful protesters at the hands of the army. Following the international response to this 1990 incident, the army vacated the village, which was significant as Santiago was the first town to stand against the army and this example was followed throughout the villages surrounding Lake Atitlan. We travelled 5 minutes by car from the Peace Park to the site of the 2005 mudslide that killed hundreds of people and displaced thousands more. These events had increased significance for us all, as having met the women at the Elder Center, these were now personal stories of loss and survival. Our day ended, as do all of our days here, with a communal dinner filled with reflection, conversation and cross cultural fun.